If you haven’t read the first part of this post, I recommend you to read it here first to see how transducers work. If you don’t care about that kind of stuff, read on. 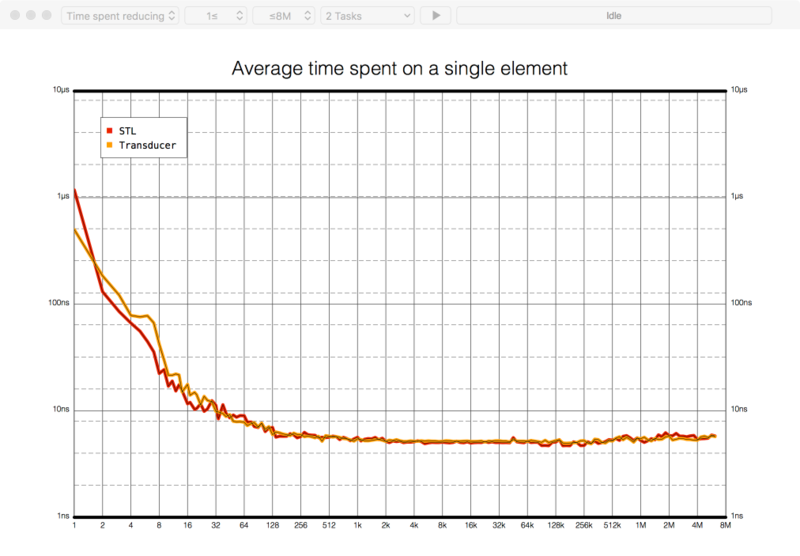 We will use Attabench, an awesome benchmarking app made by @lorentey to generate all the pretty graphs. 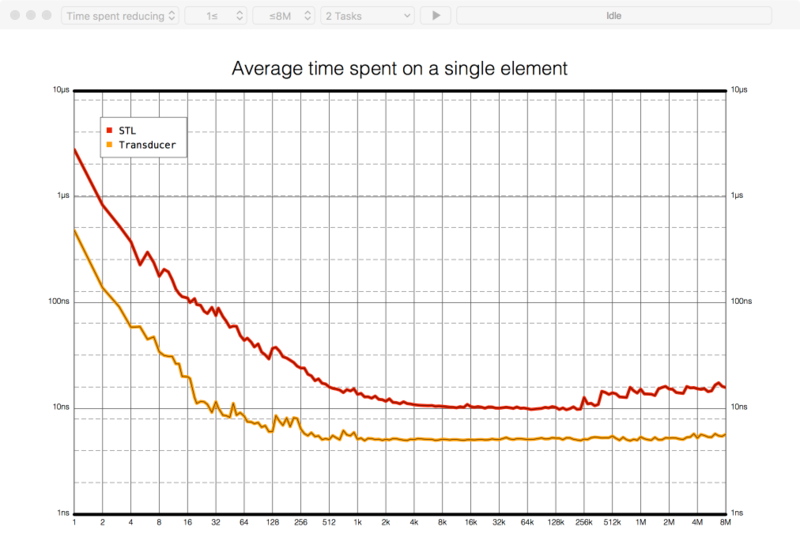 Here, we can clearly see that the STL’s version is faster. But because we are using custom operators to chain operations, maybe the compiler isn’t able to do aggressive optimizations. Let’s try this again without the custom operators. Turns out Apple engineers thought about the problem of intermediate arrays and made this thing called LazyCollection. It’s the same old collection but implemented lazily. Here is Apple’s explanation of LazyCollection’s lazy property. Anyways, let’s go ahead and apply lazy to both STL and transducer versions of the code to see what happens. While at it, let’s benchmark an imperative version. 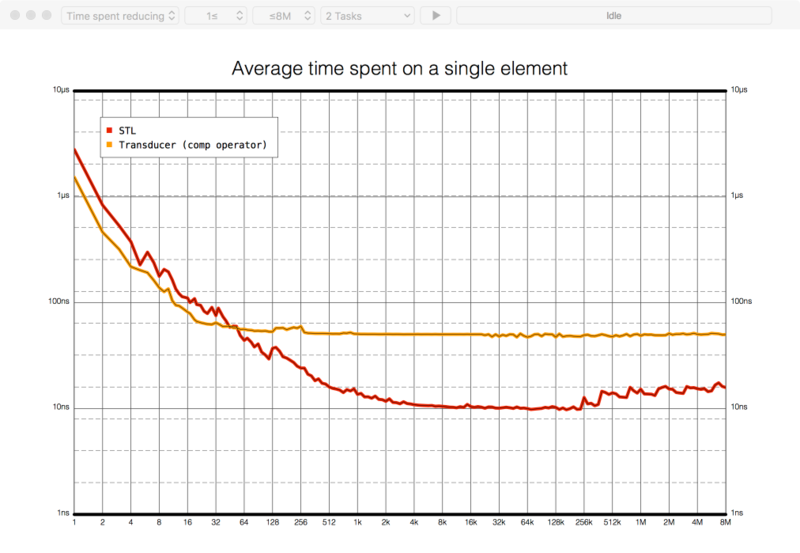 Turns out lazy is as speedy as an imperative loop. 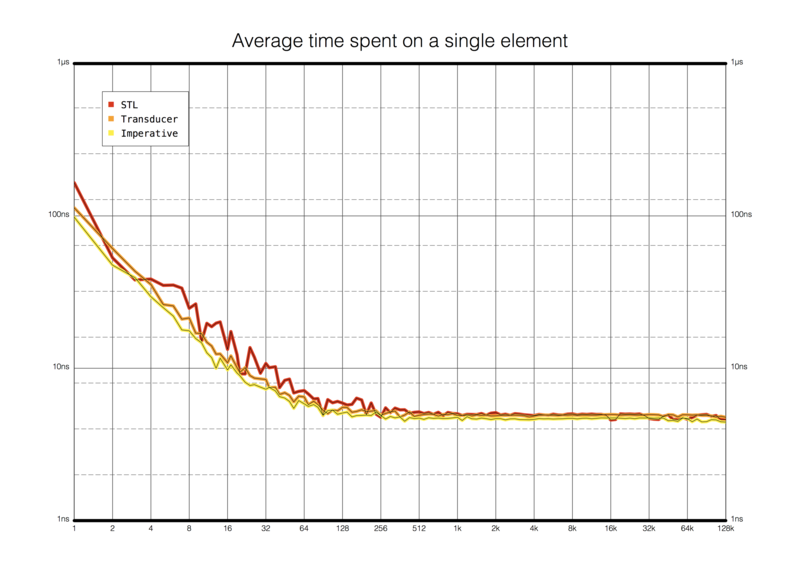 Transducers may be as fast as Swift’s LazyCollection but is highly inefficient. Although transducers may not have much practicality, I feel like I took my first REAL steps into the world of functional programming. Reading “Little/Seasoned Schemer” didn’t leave me feeling like a true functional programmer but aching over how to implement transducers certainly did!